HORETZKY, CHARLES GEORGE, HBC clerk, photographer, surveyor, author, engineer, and office holder; b. 20 July 1838 in Edinburgh, only child of Ukrainian musician Felix Horetzky and Sophia Robertson of Roxburghshire, Scotland; m. 1865 Mary Julia Ryan, and they had two sons and one daughter; d. 30 April 1900 in Toronto. After an incomplete education at Blair’s College, Aberdeen, and in Belgium, Charles George Horetzky left Europe in 1854, at the age of 16, for the Australian gold-fields. He then came to the Canadas where he was engaged in late 1858 by the Hudson’s Bay Company as clerk at Fort William (Que.) on the Ottawa River. In 1864 he was promoted to the position of accountant at Moose Factory (Ont. ), headquarters of the HBC’s Southern Department, and the following spring he married the daughter of Ottawa lumber baron Roderick Ryan. It was during his years at Moose Factory that Horetzky developed considerable expertise as an amateur photographer. 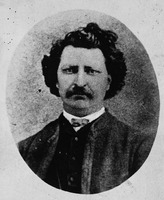 In August 1869 Horetzky was assigned to Upper Fort Garry (Winnipeg) as accountant, but the outbreak of the Red River uprising [see Louis Riel*] prevented him from performing his new duties and he was given permission to return temporarily to Canada. While in Ottawa that winter Horetzky ran into difficulty with the HBC concerning his overdrawn account and so annoyed company officials by his uncompromising attitude that his engagement was terminated in April 1870. 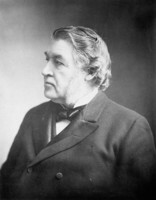 A subsequent appeal to the HBC London committee to have this decision reversed proved fruitless, and Horetzky, with a wife and young daughter, turned to Charles Tupper*. A friend of the family, probably from his days at medical school in Edinburgh, and a minister in the Liberal-Conservative government of Sir John A. Macdonald, Tupper repeatedly recommended Horetzky to Sandford Fleming*, engineer-in-chief for the construction of a railway to the Pacific, and in May 1871 he was hired as photographer for the surveys to be conducted through the lesser known parts of the North-West Territories and British Columbia. Assigned to a party led by engineer Frank Moberly in June 1871, Horetzky took several exceptional views of the country between the Red River and the Yellowhead Pass in the Rocky Mountains during the fall and winter, and then returned to Ottawa. Probably his most famous photograph, Camp at elbow of the North Saskatchewan, was taken during this season. Fleming was delighted with the results and asked Horetzky to accompany him as guide and outfitter for a survey of the route through the Yellowhead Pass the next summer. Horetzky travelled ahead to make the necessary arrangements and then, together with Fleming and Fleming’s son Frank, George Monro Grant*, and botanist John Macoun*, he left Upper Fort Garry on 31 July, reaching Fort Edmonton (Edmonton) on 27 August. At this point the plans were revised and Horetzky and Macoun were dispatched by Fleming to survey a more northerly route through the Peace River country. Horetzky tackled the assignment with a sense of mission. Despite the lateness of the season and a troubled relationship with Macoun, he examined the Peace River Pass thoroughly and learned from local Indians of the existence of another pass on the Pine River (Pine Pass, B.C.). From the HBC’s Fort St John (near Fort St John, B.C.) he and Macoun travelled through Rocky Mountain Portage in October, on to Fort McLeod (McLeod Lake, B.C. ), and westward to Fort St James; Macoun then departed, leaving Horetzky to continue the survey alone. After moving on to Hazelton at the end of December, Horetzky photographed some of the country along the Skeena and neighbouring rivers, and followed the Nass River to the coast. He then sailed to San Francisco, where he boarded the American transcontinental railway for the return trip to Ottawa. Horetzky arrived back in Ottawa in early March 1873, enthusiastic about the potential of the Peace River region and the Pine Pass in particular. Fleming, however, remained firmly committed to the Yellowhead route and dismissed Horetzky, who had taken the issue of a more northerly route for the CPR to the leader of the Liberal opposition, Alexander Mackenzie. Horetzky published a series of articles in the Ottawa Daily Citizen in October, which advocated the northerly route, as well as a short pamphlet, The north-west of Canada, which related some of his explorations. In early 1874 a longer account, dedicated to Mackenzie, now prime minister, was published under the title Canada on the Pacific, and, on the urging of the new prime minister, Horetzky was rehired as an exploring engineer by Fleming in May. Charged with surveys in central British Columbia and northern Ontario, Horetzky resented photographic assignments, considering himself an engineer, and clashed with his superiors and other engineers including Marcus Smith. He felt slighted when his engineering opinions were questioned, often behaved rashly, and disobeyed instructions in the field. The Yellowhead route was eventually accepted by the Mackenzie government, a choice confirmed by the Conservative government after it returned to power in 1878. Finally in April 1880 Horetzky left the CPR and the next month published Some startling facts relating to the Canadian Pacific Railway, vigorously denouncing the Yellowhead route and Fleming’s failure to recognize the merits of the Pine Pass. He made similar statements before the royal commission on the Canadian Pacific Railway in December 1880, but succeeded only in portraying himself as a vain, somewhat unstable, figure. In 1883 Horetzky embarked on a new career as engineer with the Ontario Public Works Department in Toronto. He supervised the construction of various projects in the late 1880s and 1890s and designed the sewage disposal systems for several public institutions, including the Ontario Agricultural College at Guelph. He distinguished himself as a sanitary engineer and finally received the recognition that he had avidly sought for so many years. Indeed, the Daily Free Press of Ottawa observed in his obituary that “as a sanitary expert he had no peer in the country.” Today, however, Horetzky is known principally for his photography, an aspect of his work that he always considered secondary to his engineering achievements. A skilled artist with the camera, he produced an outstanding collection of photographs of the Canadian North-West Territories and British Columbia in the late 19th century. The Glenbow Arch. has a series of 19 original photographs by Charles George Horetzky (PB-239-(1–19)) dated 1871 and 1872. Additional photographs can be found at the Vancouver Public Library, which holds two bound albums entitled “Homathko River” (46 photographs) and “Peace River” (47 photographs), and at the NA, Documentary Art and Photography Division. Horetzky is the author of The north-west of Canada: being a brief sketch of the north-western regions, and a treatise on the future resources of the country (Ottawa, 1873); Canada on the Pacific: being an account of a journey from Edmonton to the Pacific by the Peace River valley . . . (Montreal, 1874); Views in the Cascade Mountains, British Columbia: on coast exploration of 1874 (n.p., [1874? ]); and Some startling facts relating to the Canadian Pacific Railway and the north-west lands . . . (Ottawa, 1880). 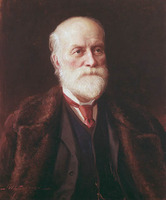 His report on the expedition of 1872–73 was printed as an appendix to Report of progress on the exploration and surveys up to January 1874 (Ottawa, 1874), prepared by Sandford Fleming. NA, MG 29, B1. PAM, HBCA, B.134/g/33–39, 45–46; B.135/g/48–51; B.239/g/46. G. M. Grant, Ocean to ocean; Sandford Fleming’s expedition through Canada in 1872 (London and Toronto, 1873). John Macoun, Autobiography of John Macoun, M.A. . . , intro. E. T. Seton (Ottawa, 1922). Daily Free Press (Ottawa), 4 May 1900. Globe, 1 May 1900. Ottawa Daily Citizen, 9–10, 13–15, 17–18, 24 Oct. 1873. Ralph Greenhill and Andrew Birrell, Canadian photography, 1839–1920 (Toronto, 1979). Reid, “Our own country Canada”. A. Royick, “Horetzky’s contribution to Canadian history” (paper presented to the Second National Conference on Canadian Slavs, 1967). Andrew Birrell, “Fortunes of a misfit: Charles Horetzky,” Alta. Hist. Rev., 19 (1971), no.1: 9–25. W. A. Waiser, “HORETZKY, CHARLES GEORGE,” in Dictionary of Canadian Biography, vol. 12, University of Toronto/Université Laval, 2003–, accessed April 24, 2019, http://www.biographi.ca/en/bio/horetzky_charles_george_12E.html.